Joyce Banda is sworn in as Malawi’s head of state, ending two days of a power vacuum after Bingu wa Mutharika passed away. MALAWI HAS SWORN in its vice-president as its new head of state, ending days of political speculation that the ruling party was planning a coup of sorts by installing a political ally of the former president instead. Joyce Banda was sworn in yesterday, making her the first female president of any southern African country, and only the second in the continent’s modern history following Liberian nobel laureate Ellen Johnson Sirleaf. Her appointment follows the constitutional line of succession, but it had been suspected that Banda could be skipped in the line of succession because of what had been growing political differences between herself and the former president Bingu wa Mutharika. The Wall Street Journal summarises that Banda had been Mutharika’s vice-president since the latter’s election in 2009, but the pair had fallen out a year later in a dispute over who would be Mutharika’s eventual long-term successor – the outgoing president had apparently wanted his brother, another cabinet member, to take power. Banda had retained her office since then, but had been expelled from the Democratic Progressive Party and considered a political opponent of the president – and it had been suspected, given the shortage of information coming from the government, that efforts may have been made to exclude her from the appointment process. This had been further heightened by the media blackout regarding news of Mutharika’s death: the government had only said the outgoing president was taken ill on Thursday morning, and that he had been flown to South Africa for emergency treatment. It had not confirmed until yesterday morning, when breaking news of his death, that Mutharika had died before arriving in South Africa and that the country had been without a leader for over 36 hours. The Guardian reports Banda as saying she wanted “all of us to move into the future with hope and a spirit of unity”, and that that opposition leaders had backed her to take the presidency in order to safeguard the constitution. The country has declared 10 days of official mourning to mark Mutharika’s loss. Banda is now expected to continue leading the country until Mutharika’s term would have expired in 2014. Email “Malawi swears in southern Africa's first female president”. 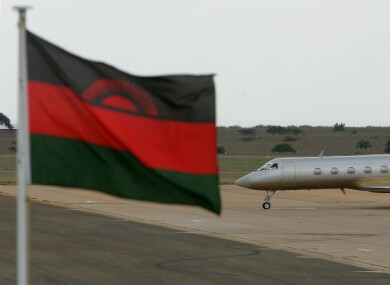 Feedback on “Malawi swears in southern Africa's first female president”.